Please call for Pricing for our Grand Isle Camps for Rent!!! There’s a reason why Yahoo! 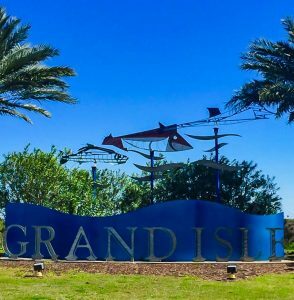 ranked Grand Isle, LA one of the most popular islands for summer vacations. They also raved about it being one of the top beach retreats in winter and a top island getaway. 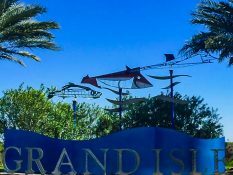 Grand Isle has the perfect beaches and is one of the top fishing destinations, with many fishing rodeos and events that bring in folks every year. View our Grand Isle Camps for Sale and get the deals while they last! The Coastal Realty Group is a team of experienced and enthusiastic agents that’s highly responsive. Please call one of our agents for a viewing today! Please call 985-637-1615 to find out more about recently reduced prices in Amaris Isle Gated Community in Grand Isle LA. We have camps and lots for Sale in Amaris Isle Plantation, Grand Isle!! Call Remax Coastal Realty Group for all your Grand Isle Sales and Rentals needs. We can help you find your dream home!! Call 985-637-1615 for Grand Isle Rentals! Call today to reserve your Grand Isle Vacation Rentals!!! 985-637-1615 to get the best deals on Rentals in Grand Isle! Re/Max Coastal Realty Group has just acquired 31 lots for sale in the Waterfront Gated Community of Queen Bess Bay located in the heart of Grand Isle! It has a private boat launch, private pavilion and a direct water access to Caminada Bay which allows you to get out to your favorite fishing spots. Please view our website or call for more info! Please view our website for Grand Isle Vacation Rentals and Grand Isle Real Estate. Here at Re/Max Coastal Realty Group, we just added a new feature to our office which is Vacation Rentals. 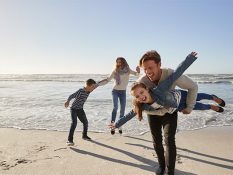 On the home page, click on Rent and you can view short term Grand Isle rentals, long term Grand Isle Rentals and daily Grand Isle Rentals. Please call or email for more information! Come join the Re/Max Coastal Realty Group family at our Real Estate office in Grand Isle for the Grand Isle Mardi Gras Parade on March 2 at 1pm. NEW ORLEANS —The Caribbean may be the first island getaway that comes to mind for vacations, but according to Yahoo! News, Grand Isle, La. is where you can get your fix in the U.S. The website said travelers could “experience the best that land and sea have to offer” in Grand Isle and four other locations. Grand Isle ranked No. 4 on the list. No. 1 was Oahu, Hawaii. “For a more sultry experience (temperature wise, at least), the warm Gulf waters around Grand Isle are perfect for swimming and fishing year-round. Rumor has it that pirate Jean Lafitte hung out near this island, so keep an eye peeled for buried treasure,” the website said. Grand Isle tourism took a hit after the Deepwater Horizon oil spill that smothered the beach in crude oil after the oil rig exploded, killing 11 people. It took more than a year for the community to restore itself as a tourist destination.